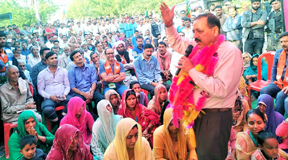 BILLAWAR: Accusing Congress party of seeking support from “anti-national forces” for petty electoral interests, Union Minister and BJP Lok Sabha candidate from Udhampur-Kathua-Doda Parliamentary constituency, Dr Jitendra Singh today said that the “Pakistan Zindabad” coterie has ganged up against BJP. 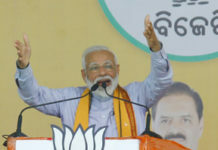 Continuing his Panchayat-level election campaign on third-consecutive day on Tuesday, Dr Jitendra Singh, while addressing a series of local public meetings in Billawar Assembly segment, said that Congress has become so desperate that it is now fully depending on the support from National Conference (NC) leaders who are known to raise the slogans of “Pakistan Zindabad” even while holding Constitutional positions and PDP which speaks of “self-rule”. 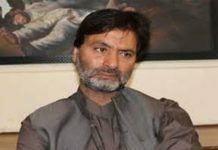 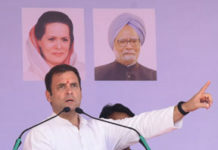 He said, it is now for the Congress president Rahul Gandhi and the Congress leadership to explain whether they subscribe to the stand taken by NC and PDP which have questioned the legitimacy of the Indian Constitution.